The most nutritious fish meat is considered very good for your heart, being rich in protein, minerals and vitamins (A, D and E), very important in maintaining good health. It also contains high-chains of omega 3 fats, selenium and it’s rather low in saturated fats (the bad kind of fats). A scientific studied conducted by professors Dariush Mozaffrian and Eric Rimm showed that eating a portion of 3 ounces of fatty fish (herring, salmon, mackerel etc.) 2 times a week reduces the chances of heart failure by 36%. The omega 3 fats in this case are key in protecting the heart from cardiac rhythm disturbances, maintaining a regular heartbeat. Erratic heartbeats can be very dangerous and potentially fatal if left untreated. They also lower blood pressure, improve the functionality of blood vessels and lower the levels of triglycerides. The studies on fish benefits for the circulatory system are approved by the American Heart Association. It was also demonstrated (through observational studies) that the same omega 3 fats are extremely important for brain development and activity in infants. Studies confirm that the nervous system and brain in children whose mothers consumed fish during the pregnancy is far superior in development to children whose mothers did not include fish in their diet during the pregnancy and breastfeeding period. 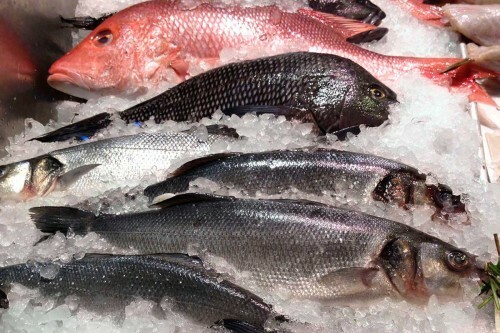 Fortunately, fish is abundant and available to Americans, who should reconsider balancing their diets and making more room for such beneficial and nutritious substances which are found in fish meat. Let’s have a look and see our options. 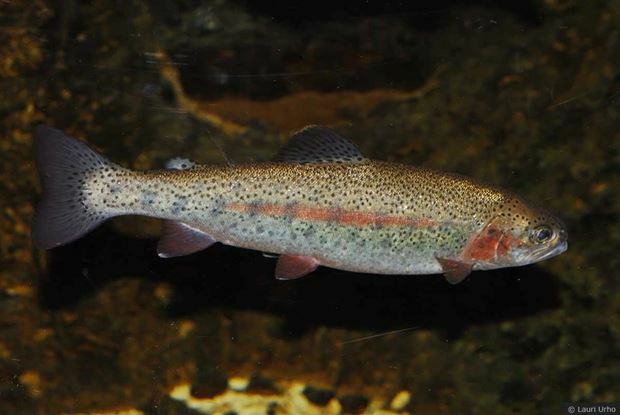 The rainbow trout is not only nutritious, but it’s also very delicious, preferred by many when it comes to cheap and affordable sea-food. 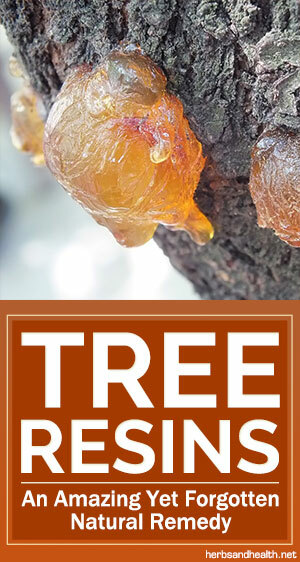 It’s not a particularly endangered species, but some varieties are not fit for consumption because they show signs of contamination with PCB chemicals (especially the species native to Lake Michigan and Lake Huron). It’s not pretentious when it comes to cooking. It’s best to leave the scales on while doing so because this will remove the need for adding extra oil while coating or breading the fish. It’s excellent for simple recipes and goes great with mushroom sauces, spices or just lemon. Baking is best done at 400°F – 500°F, for 5 minutes on each side. 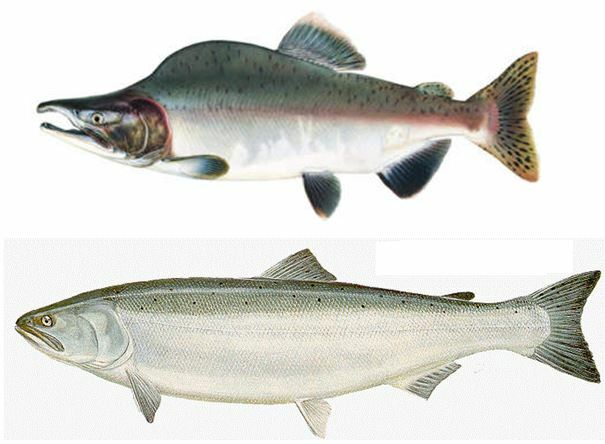 The wild-caught salmon is considered bettered healthier and better than the farmed kind since the farmed ones have double the dosage of unhealthy saturated fats than the wild ones. The omega 3 fats levels are the same. Even marketing giants, such as target have been stacking up lately on wild salmon, selling only salmon certified by the Marine Stewardship Council. This fish is perfect for salads or sandwiches, and it also goes great with white bean soup. There are plenty more recipes out there, each being tastier than the last. It’s astonishing the comeback these tiny fish made after the late 1950, when the nearly went extinct. They don’t have a good reputation when it comes to creative recipes and food assortments, but don’t let that fool you. Just because they’re been eating straight out of the can for the last hundred years, doesn’t mean there’s no potential available. If you feel like experimenting in an “unorthodox” manner, you can make or buy mouth-watering sardines & white beans salad. If you feel like keeping the traditions alive, there’s always the ever-popular sardine sandwich with either plain or marinated sardines (garlic, tomato sauce, olive oil etc). This fish has gained a lot of bad reputation lately because of the suspicion of high levels of mercury poison. After scientific testing, tuna caught in Canadian and Western U.S. coasts have in fact proven to have lower amounts of poison in their bodies than anywhere else in the world. This is because these fish are generally younger and were exposed to the poisonous substance for lesser periods of time. The Albacore is not the type of fish that you find at your local everyday fish market or store. It’s hard to come by, but it’s mostly available at online stores, like Heritage Foods USA. The best Albacore I have ever eaten came in ht shape of tuna kebab, easy to prepare and delicious to the maximum. Simply prepare like regular kebabs, using tuna meat (even the loins) instead of chicken. 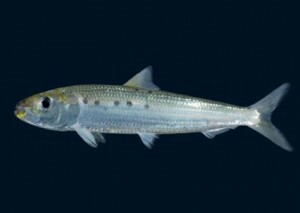 It’s a very uncommon fish for most Americans, and with good reason. 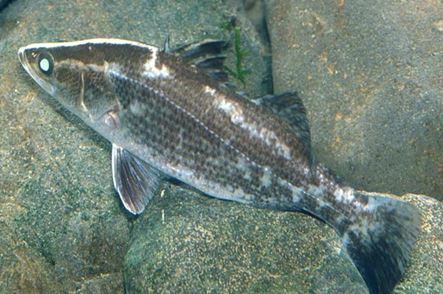 This white-fleshed fish is native to Australian waters, where aborigines firstly fished them by hand from their natural habitat, freshwater rivers. They are easy to breed and the U.S. farms have become highly specialized in doing so. They utilize land-based tanks in which the fish are being kept mainly on a vegetarian diet. It’s highly recommended to buy American, as the other countries farm these fish in ocean-based nets that are highly pollutant. The Barramundi can be simply cooked with lemon juice for dressing, whether It’s fried, grilled, or baked. But it can also be used for fancier recipes, like Barramundi with Swiss chard and roasted sweet potatoes. As you can see, there is plenty of fish the sea! There are many unpopular species available throughout the U.S. that work wonders for the one’s health, whether they’re bought off the internet or simply fished the old-fashioned way.